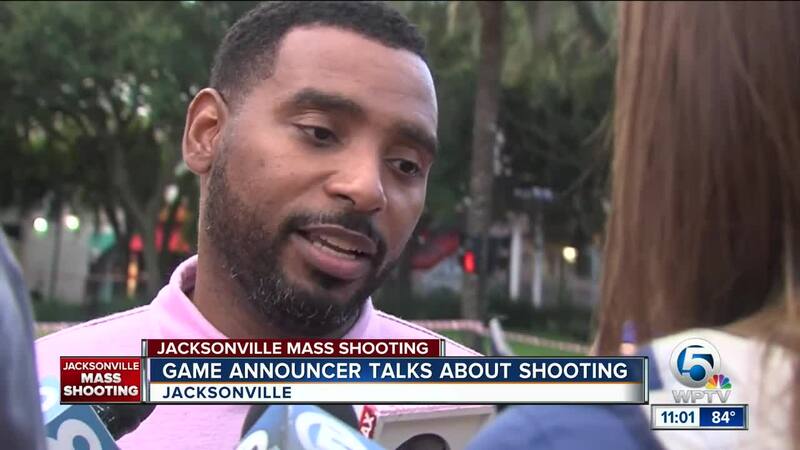 JACKSONVILLE, Fla. (AP) — A gunman opened fire Sunday at an online video game tournament as it was being livestreamed from a Florida mall, killing two people and then fatally shooting himself in a rampage that wounded several others, authorities said. 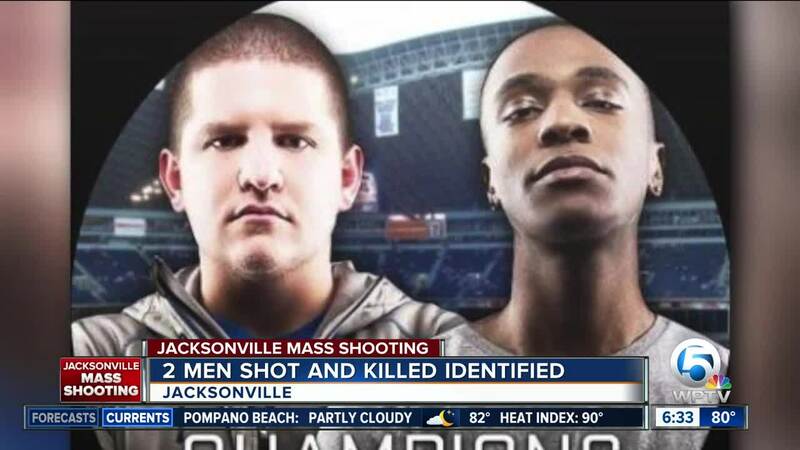 The NBC affiliate in Jacksonville identified the two shooting victims as Elijah Clayton, 22, of California and Taylor Robertson, 27, from West Virginia. Jacksonville Sheriff Mike Williams said authorities believe 24-year-old David Katz of Baltimore carried out the attack using at least one handgun at the Jacksonville Landing, a collection of restaurants and shops along the St. Johns River. 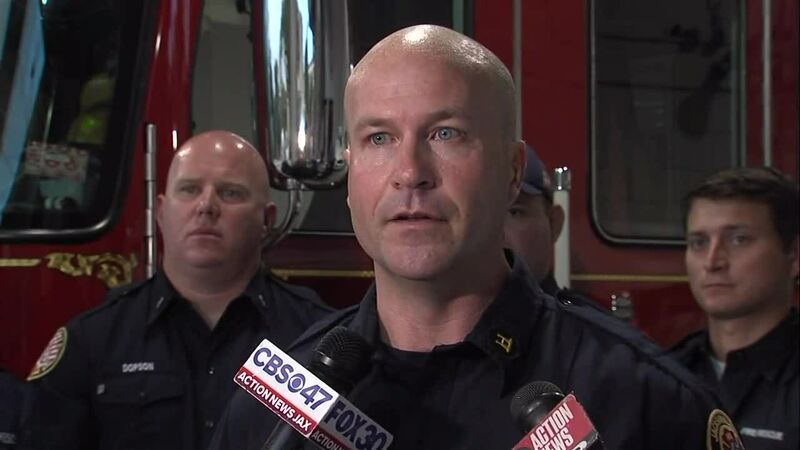 Williams said the man died from a self-inflicted gunshot, adding final confirmation of the suspect's identity was pending as the FBI in Baltimore aided in the investigation. 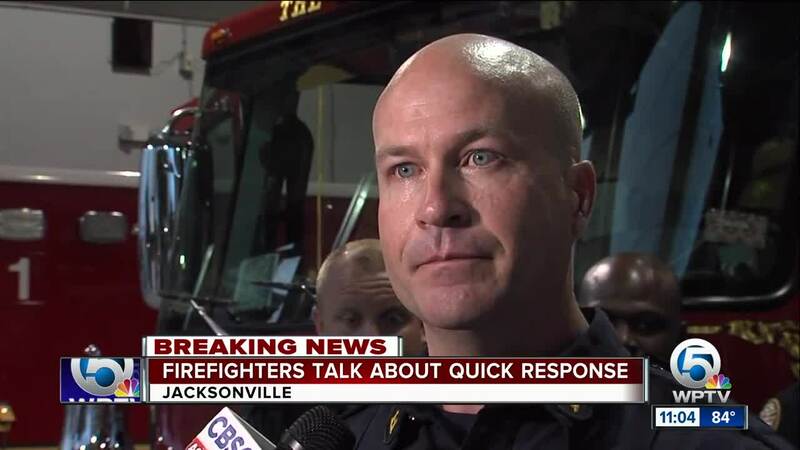 Jacksonville fire officials were holding a drill in a nearby parking garage when the shooting occurred. "Initially we thought it was a balloon popping, but there weren't any balloons in the room," said Williams, who had taken part in the tournament earlier. "Then we heard repeat shots and we took off running." He added: "The first shot everybody just turned and looked. After the second, third and fourth shots, everybody took off and ran for the exits." Poindexter, an aspiring gamer, said she had gone to seek experience at the tournament. She never saw the face of the shooter, but added, "We did see him with two hands on a gun walking back just popping rounds." An FBI spokesman, Dave Fitz, confirmed that agents had gone to the house of the man's father in Baltimore. He declined to release specifics, citing the ongoing investigation. T.J. Smith, chief spokesman for the Baltimore Police Department, also said that agency was assisting law enforcement partners "with some information that has led authorities to Baltimore." The sheriff's office used Twitter and Facebook immediately after the shooting to warn people to stay far away and to ask anyone who was hiding to call 911. Police also barricaded a three-block radius around the mall and sent in a SWAT team and bomb squad experts to secure the area. Police also took up positions on a bridge spanning the river with a view of the area.